The differences between the old and the new. The new Garmin Edge 520 (full review here) is the latest in line of the 500 series, following the Edge 500 and the Edge 510. 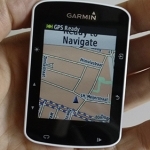 Garmin worked on improving the device and in this blogpost I’ll explain the differences, improvements and compare the features. 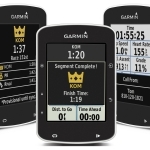 The 510 is still available for purchase but obviously will get less attention from Garmin and it’s resellers in the future. 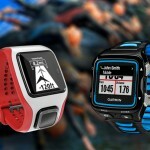 At first glance you’ll notice that the Garmin 520 is actually smaller than the 510. But don’t let the body fool you, the screen is actually larger and besides being larger it also has a higher resolution (and more pixels per inch). 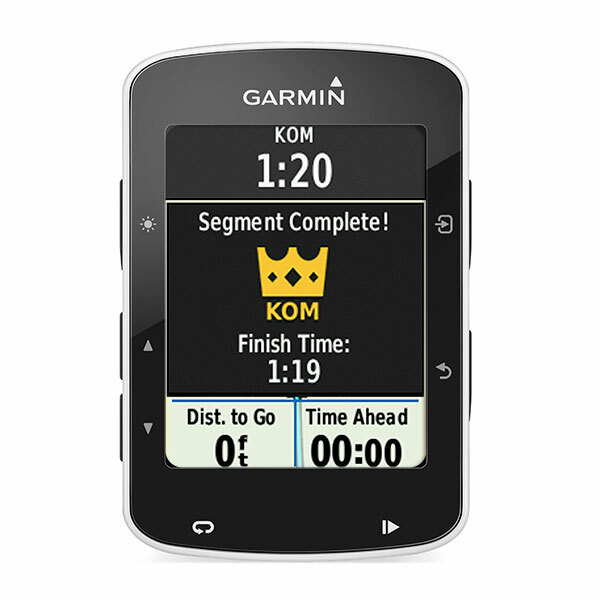 But besides this, Garmin managed to make it lighter by 0.7 oz. This is quite nice, the 510 is not heavy, but every gram counts, right? So where did the weight go? Maybe by dropping the touchscreen. Yes, the 520 lacks a touchscreen and has more buttons again, like with the Garmin Edge 500. The choice might be the right one, while touchscreens are nice, they don’t work well for people in the ‘rougher’ climates. Rain will make them hard to operate and gloves make it nearly impossible, unless you have a pair of fancy “smart-gloves”. Resolution 176 x 220 px. 200 x 265 px. Battery Life 20 hrs 15 hrs. Taking a KOM with instant gratification! As you read in the paragraph above, the new Edge 520 has direct support for strava segments. If you want to attack a certain segment the 520 will give you a heads up when you’re approaching it. Counting down the distance and a ‘GO’ when you come to the start of the segment. If you have the time, which I doubt, you can see your status on the device, giving you time behind or ahead on your live segment. And obviously, you get a little crown when you take a KOM! (or QOM!). If you’re not a big Strava fan, or your local roads are dominated by the pro field (the downside of living in the Netherlands…), you can of course completely ignore the whole Strava integration. 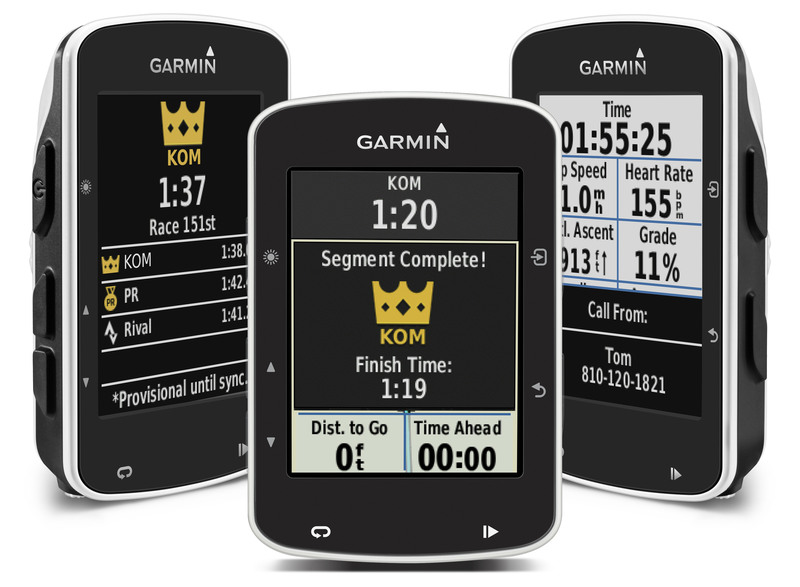 The Garmin Edge 510 and Edge 520 both come in two varieties. One is the stand alone device and the other is a bundle option. In the following table you see what you get. Both devices are completely compatible with ANT+ heart rate, speed and cadence sensors so if you already own them, just the device will be enough. While I can’t look in your wallet, I would seriously consider the Edge 520 unless you’re really fond of touchscreens. There are more options available for support in the future and the general availability is better (obviously, the 510 will be phased out and some places have very similar prices). If you have any specific questions you can’t find, drop them below and I’ll be glad to answer them! I have an Edge 510 that I use to control front and rear Garmin Virb video cameras. Using the touchscreen, I can either take a picture or record a video. The Edge 520 is listed as Virb compatible, but I cannot find any information on how it is accomplished. Since the 520 doesn’t have a touchscreen, perhaps there is a dedicated Virb page (like the 510) that is controlled by buttons. Can you confirm that the 520 can be used to take photos and videos with the Virb, and how it is done? Thanks! Thanks for the comparison, very helpful. I own an Edge 500 that is about 4 years old. My computers rarely see it now when I plug it in for an upload so I am thinking of purchasing the 520. Is the 520 compatible with my existing 500 cadence sensore, haart rate, etc.? You should have no problems there. It’s all ANT+ based.